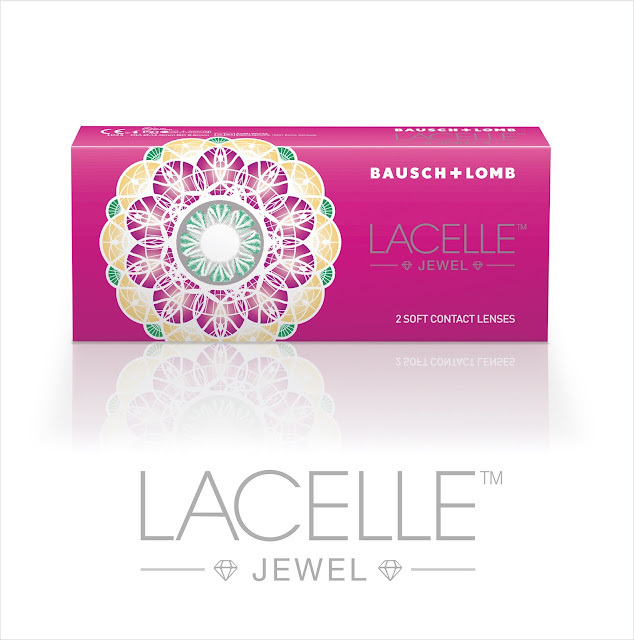 Are you one of the contact lens fans of Bausch + Lomb Lacelle Jewel? They having a contest and you have a chance to win a pair of Bausch + Lomb Lacelle™ Jewel cosmetic lens! 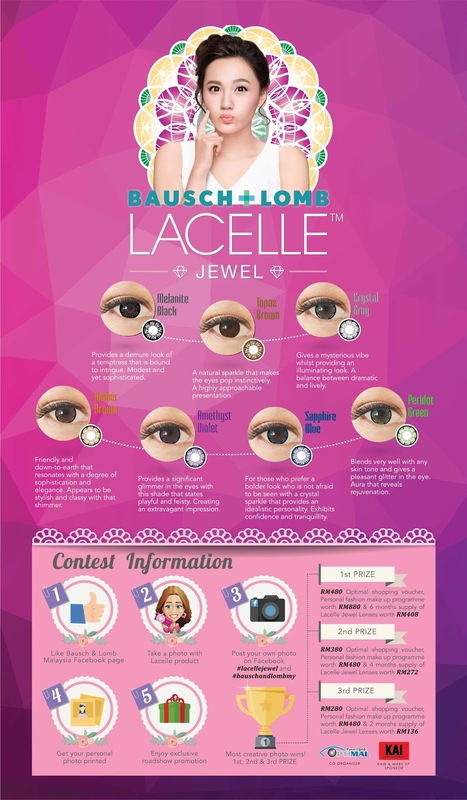 Bausch + Lomb is looking for 30 most creative post for the "I Love Lacelle™ Jewel" Contest! You have a chance to become one of the winner to win a pair of Bausch + Lomb Lacelle™ Jewel cosmetic lens! Bausch + Lomb launched Lacelle™ Jewel,, a monthly disposable cosmetic lens in September 2015 in Malaysia. To know more about it, click HERE to read my previous post. Lacelle™ Jewel coloured series comprises from 7 colours from Melanite Black, Topaz Brown, Crystal Gray, Amber Brown, Amethyst Violet, Sapphire Blue and Peridot Green which allows you to match any of your outfits. What is the benefit of Lacelle™ Jewel? 1. The latest technology enhances the excellent lens centration with the centre thickness of 0.078mm and water content of 38% which provide excellent comfort. 2. Tried and tested lens material which reduced lens dehydration for excellent comfort. 3. The design of Lacelle™ Jewel darkens and enlarges the iris to potray naturally bigger eyes with unique jewel patterns which gives more depth and sparkle for distinctive eyes. 4. The lenses contain pigment standards which is authenticated and certified by the FDA implies the safety precaution of ensuring protection to its users. 5. Lacelle Jewel lenses have been shown to be non-toxic and non-irritant to the eye as Lacelle practices safe colour additive. 2. 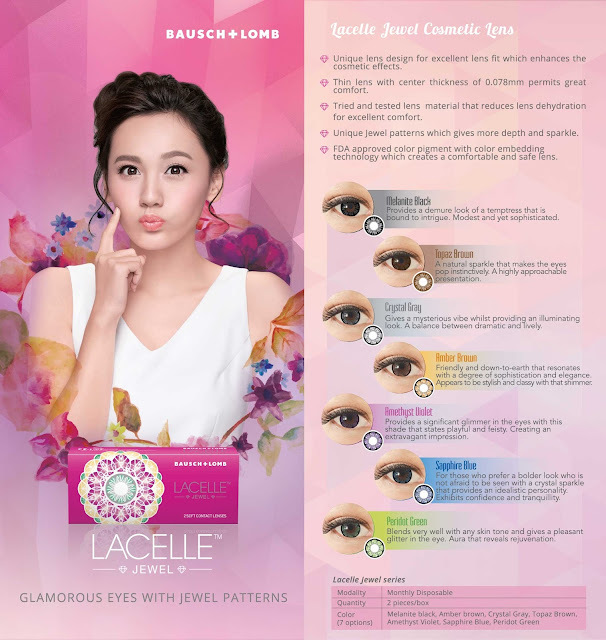 Describe why you would love to try Bausch + Lomb Lacelle™ Jewel Cosmetic Lens. 3. Remember to make your post public and get many friends to 'LIKE' your posting. To qualify, each post must at least receive 50 likes. 4. Upon reaching 50 Likes, PM Bausch + Lomb Facebook to inform them and 30 lucky winners will receive a free pair of Bausch + Lomb Lacelle™ Jewel Cosmetic Lens. 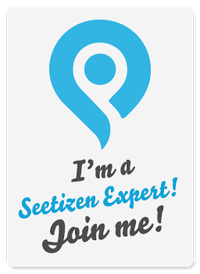 This contest will end on 1st December 2015. So PM them before the date! Glamorous your eyes with Jewel patterns! To know more information, visit their Facebook. Thanks for the infor. Will try my luck there and hopefully will win something here. Those who are joining, good luck! Guess I will stick to my current brand of non colored contact lens first hehe. 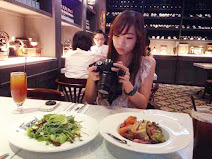 hahah...if i have these lens i dont mind joining :P but anyway good luck all! nice nice! I wanna join too! nice contest, good luck to participants. The jewel effect of the lens is really captivating. I can understand why girls love it. They do change to appearance of someone. Unfortunately, I don't have the guts to poke something into my eyes! Wah. can win win win! Are you joining babe? unfortunately i don't know how to wear contacts!! argh! why, i'm so scared of putting things in my eyes. I have tried Lacelle before, its quite moisturizing and comfortable to wear.